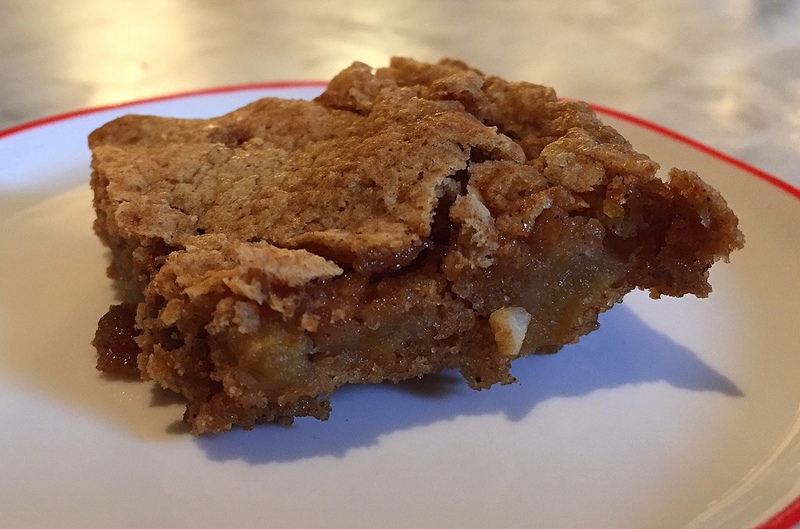 This isn't a pretty dessert, and I was about to classify it among my many recent vintage recipe fails, until my son-in-law was crestfallen that, after eating one slice, there was no more left. Even the DS liked it. 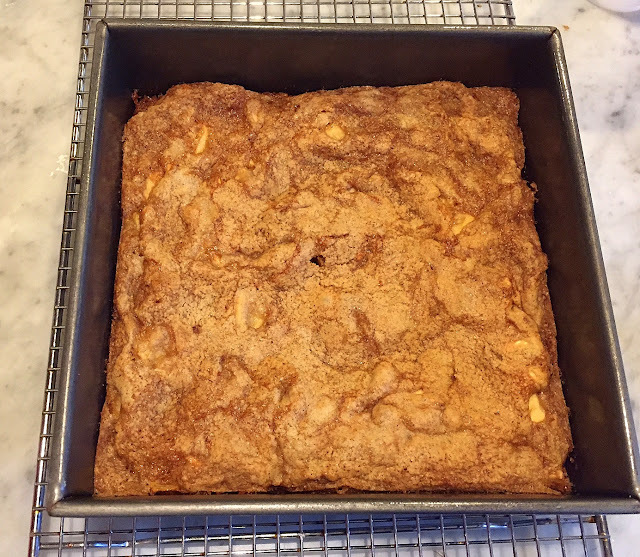 And so, with those endorsements, I bring you a simple raw apple cake. It is brimming with apples and is super moist as a result. 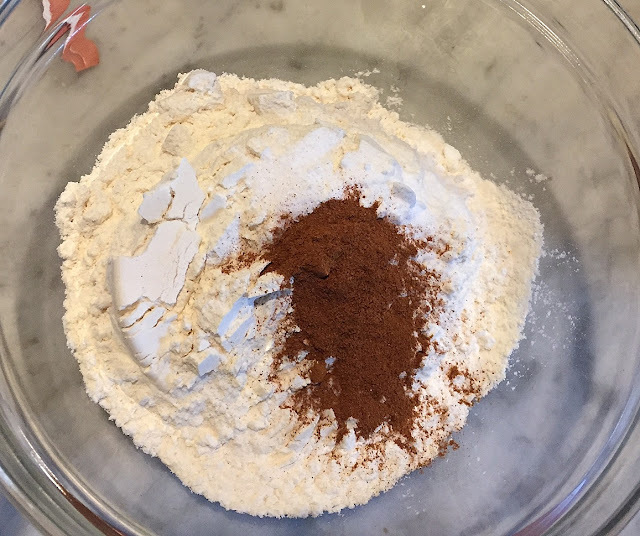 It also takes just 15 minutes to make, and is super low-tech -- you only need two bowls, a spoon, a knife and a baking pan. 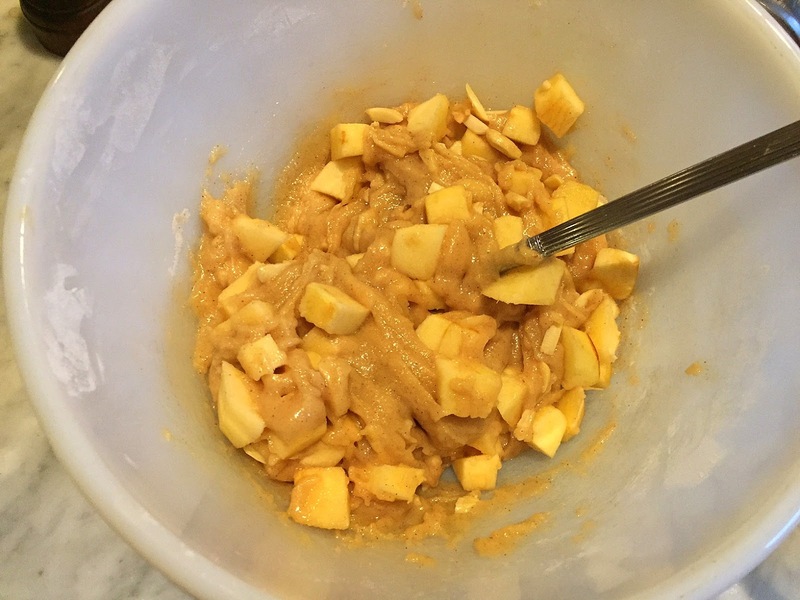 It's not apple season, but I wanted to bake a quick treat for the lovely workers in my house and I was a bit short on ingredients -- until I spied two apples in the fruit bowl. It was meant to be. 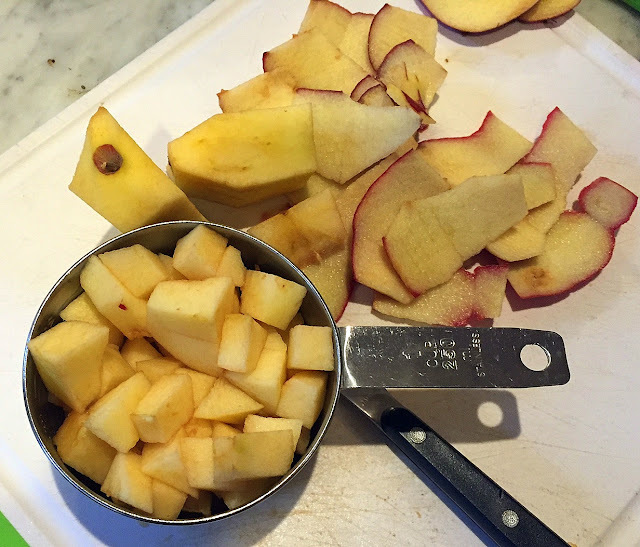 Start by peeling and chopping some apples. 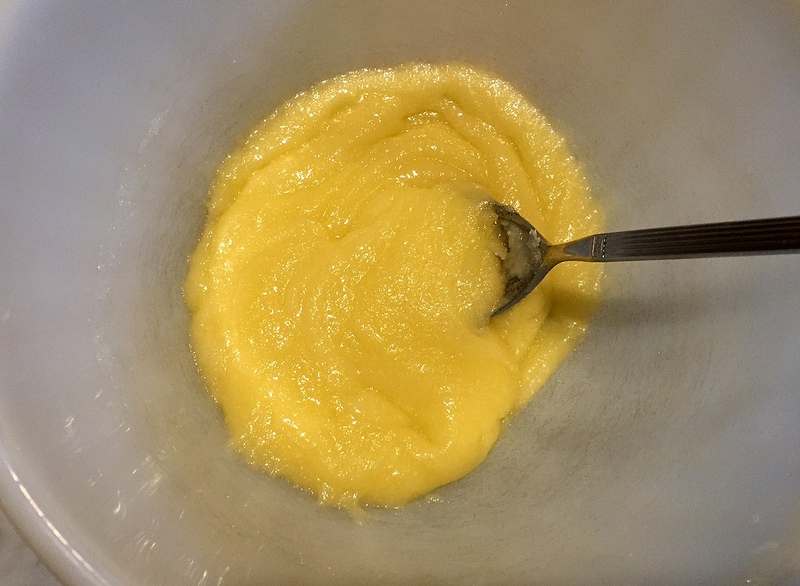 Next, mix the wet ingredients -- just oil and eggs. 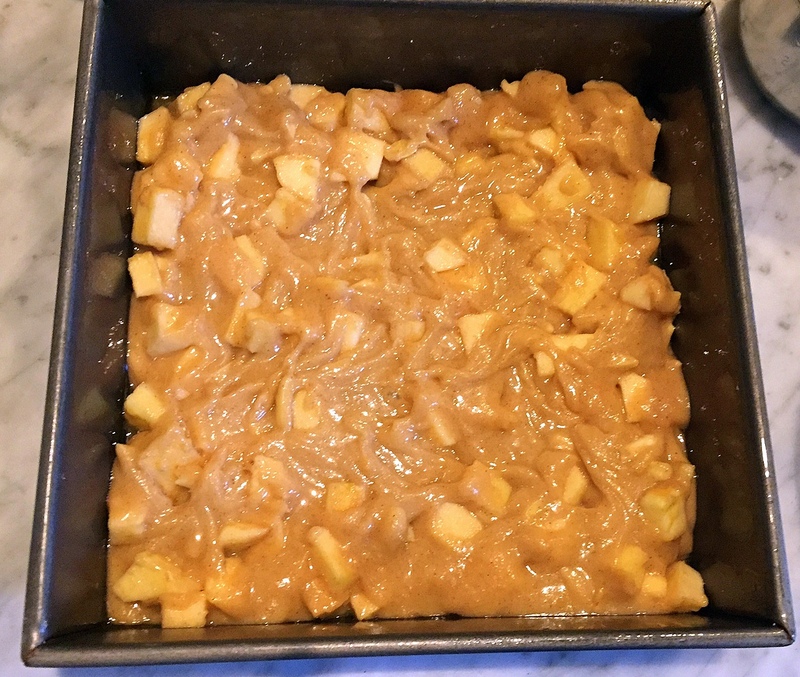 Add the dry ingredients to the wet, and stir in the apples and some nuts. Spoon the batter into a greased pan and push to the edges. The batter is very thick. 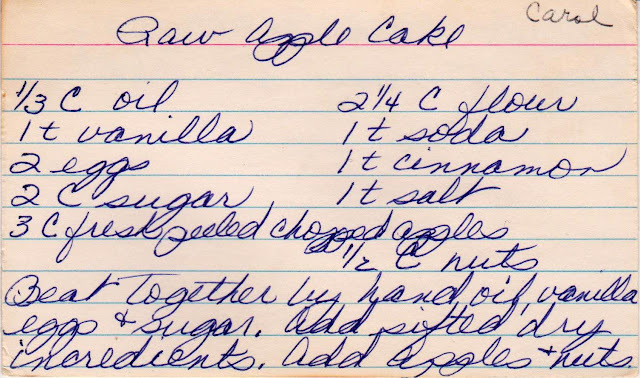 Production notes: I halved this recipe, using 1/4 c. oil, because I didn't have enough apples. 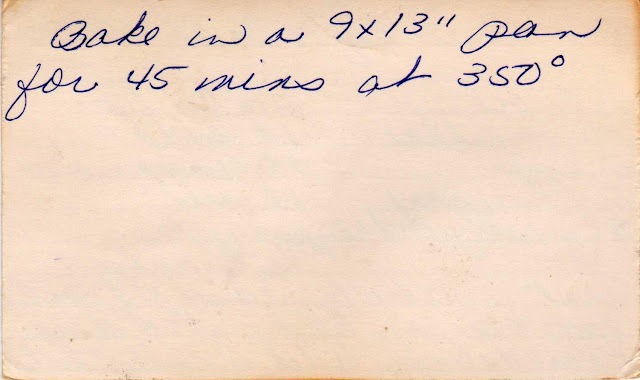 I used an 8 x 8 inch pan. 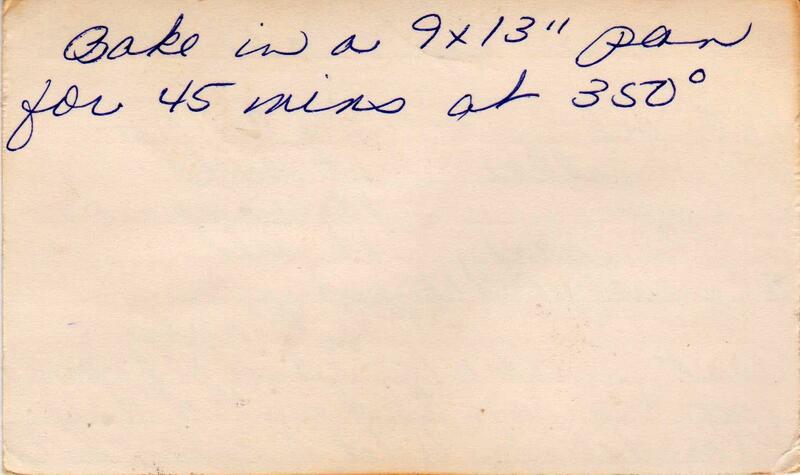 The batter was so thick and dry, that I added about 1/4 cup of water to make sure it held together. The only nuts I had -- slivered almonds -- worked just fine.